Spotify’s new MP3 download store has been getting lots of press lately, usually with the angle that Spotify is now gunning for Apple’s iTunes and other MP3 stores. One thing that most reports miss though (and which several followers on Twitter have asked me about) is the 30-day download expiration policy. Of course, the MP3s themselves aren’t expiring, just the download bundles you buy to get them in the first place. For some users though, that’s not the point. Several Spotfy users have expressed concern over the expiration policy, claiming that it’s unfair and fearing that it could leave them out-of-pocket. For example, you might spend £50 to buy a download bundle of 100 tracks, since that’s the cheapest option and works out at only 50 pence a track. You make your purchase then grab all the songs in your favorite 30-track playlist. You then go off into the night, traveling the world with your iPod and not logging in to Spotify for a couple of months… by which time your remaining downloads have expired and you’ve lost £35 worth of music you thought you’d paid for. Maybe that’s true. 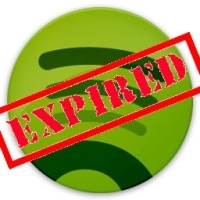 Either way, the expiration rule seems like an attempt to make sure you keep coming back to Spotify. In the above example, you’d most likely try to return to Spotify within 30 days so that you can use up your remaining downloads. This makes Spotify and their advertisers happy, since you’re back using the client, listening to ads and ooh look! The new Gaga album is out, think I’ll buy that while I’m here! Personally, I don’t really see the download expiration rule as that much of an issue. Apart from the fact that I’m Strictly Streaming, if I did download some songs then I’d probably just use up all my downloads when I bought them. 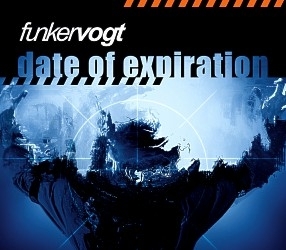 And an expiration model isn’t really that unusual: for example, Microsoft’s Skype works the same way. You purchase credit (i.e. time) on Skype and if you don’t use it within 180 days then it expires. Of course there’s a big difference between 30 days and six months. Skype will also send you several reminder emails before your credit expires, something I sincerely hope Spotify will do too. Do you think the expiration rule is a big deal? Will it make you less likely to try out the Spotify MP3 download store? Let us know in the comments below!